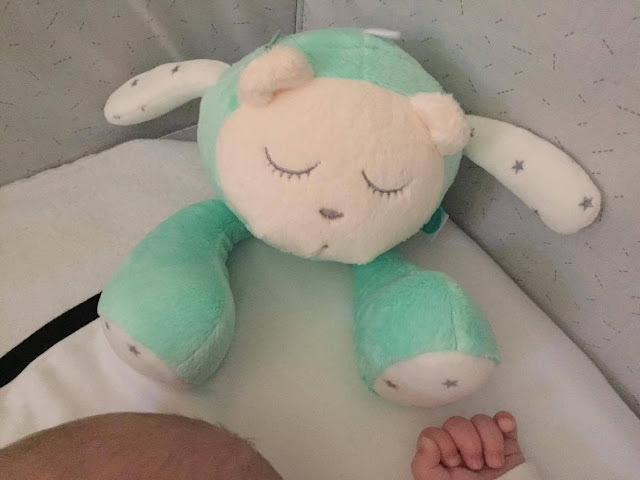 We were recently sent this lovely bear by myhummy to review for Freddie. 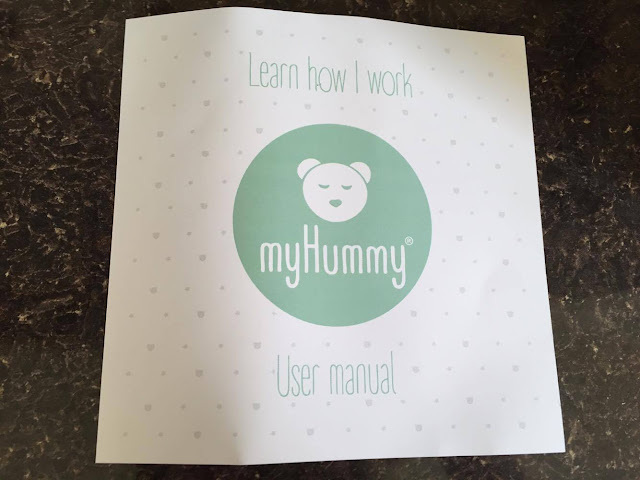 When Josh was a baby he used to have bouts of screaming uncontrollably for no apparent reason. We used to try everything, picking him up to cuddle, rocking him back and fore, take him for a drive around in the car to try and calm him down we tried everything. One day he was screaming and I thought I would try and leave him a few minutes to see if he would calm down while I dried my hair. Instantly he stopped crying as soon as I turned it on, so I switched the hair dryer off and he started back up again. 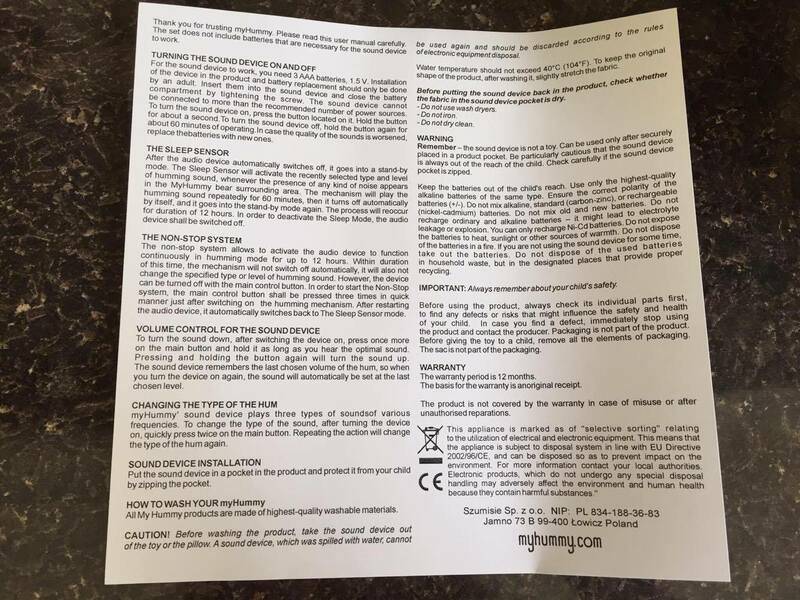 After a few times I was so shocked that the hair dryer was making such a difference and calming him down. Each night when he would be uncontrollable out came the hair dryer and it soothed him back off to sleep. 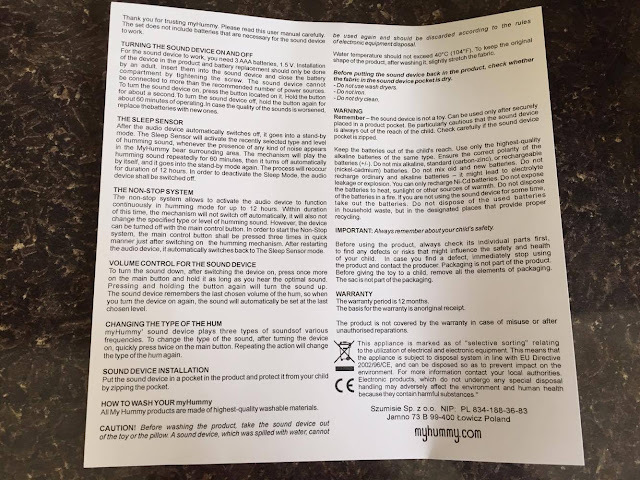 I opened up my laptop and started googling and entered in to the world of white noise and the benefits it had for babies and calming them down.I was amazed as I had never heard of it before so I downloaded a white noise app on my phone and never looked back everyone was so amazed when I showed them how it worked and how instantly it took effect. 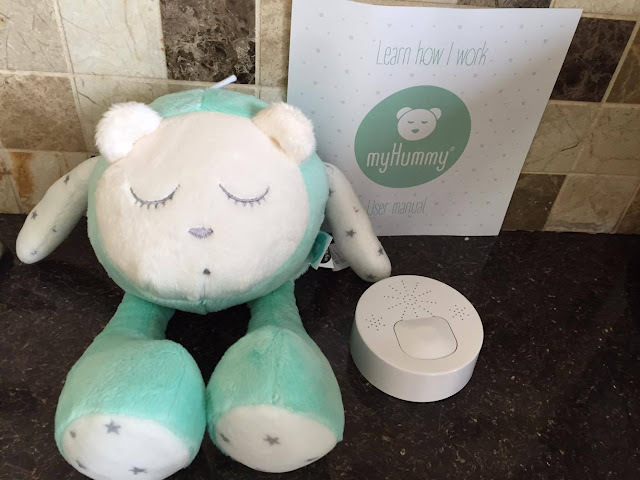 It makes sense now, how when a baby is in your tummy for 9 months they get used to background noise of your beating heart and the different sounds that your stomach makes. 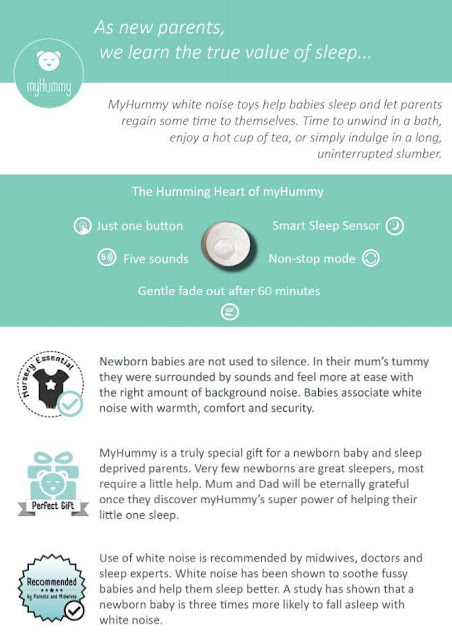 The fact that white noise is recommended by midwives, doctors and sleep experts you know you’re not putting your baby at any risk. 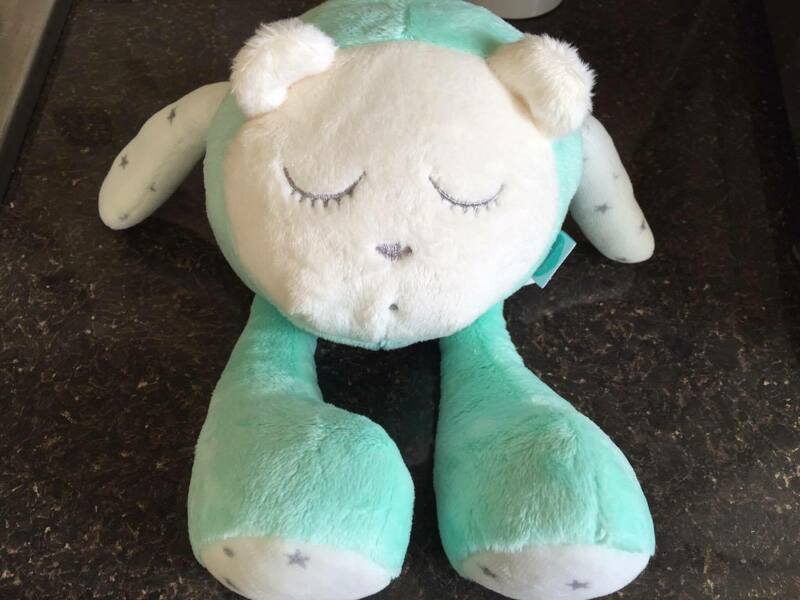 I used to worry that his ears would hurt if I played it too much! What parent doesn’t want a little more me time in the night once baby is asleep? I know I do! 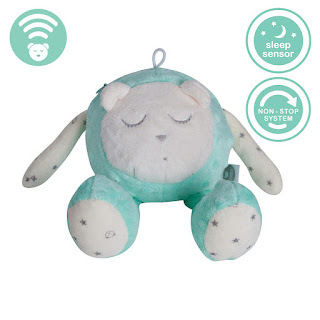 I would jump at anything that was proven to help get the little one to sleep. 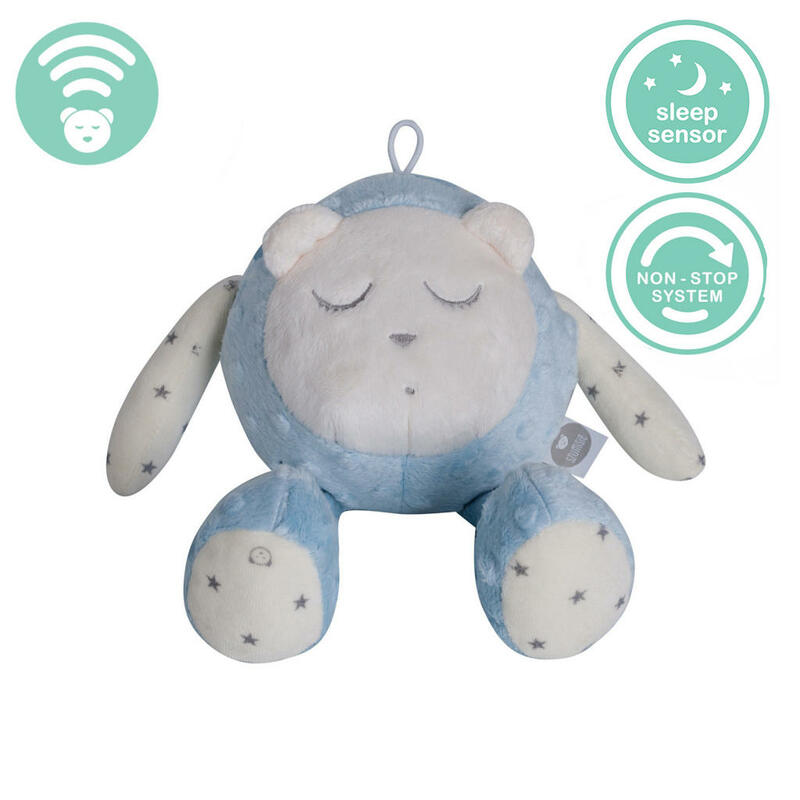 As it says, many newborn babies are not born good sleepers (Freddie certainly isn’t) so this would make the perfect present for any parent or expectant parents as what is a better gift than the gift of a good nights sleep. 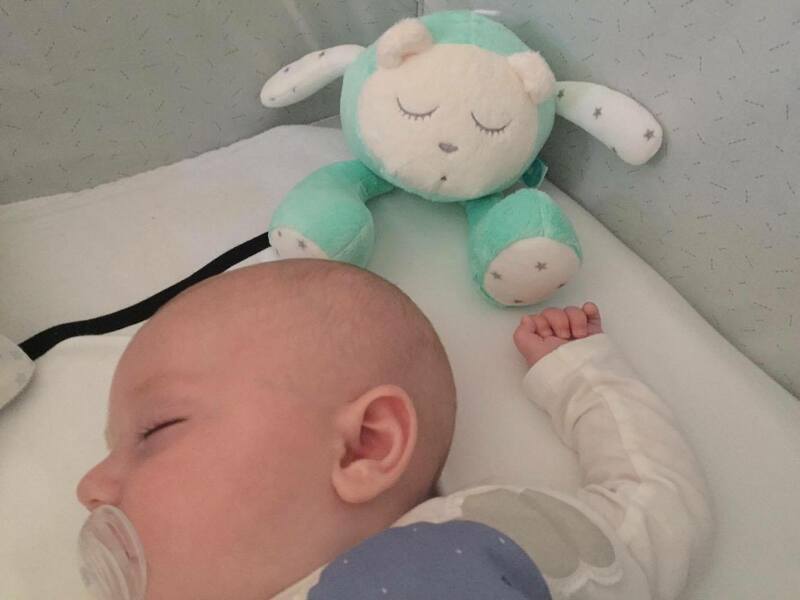 You really do take for granted the value of a good nights rest when you become a parent, any time you can rest or have a quick nap really makes such a difference thats why the myhummy is such a priceless gift. Sleepy time is easy when Snoozy’s around! 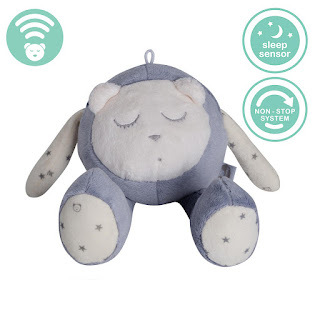 Be it nighttime or daytime, he’s always up for a nap. Babies love to hug and squeeze Snoozy’s bubbly shape and he doesn’t mind! Please note that it is not recommended for small babies to sleep with a soft toy, attach Snoozy to the cot or place it next to the moses basket. Snoozy requires 3 AAA batteries (not included). 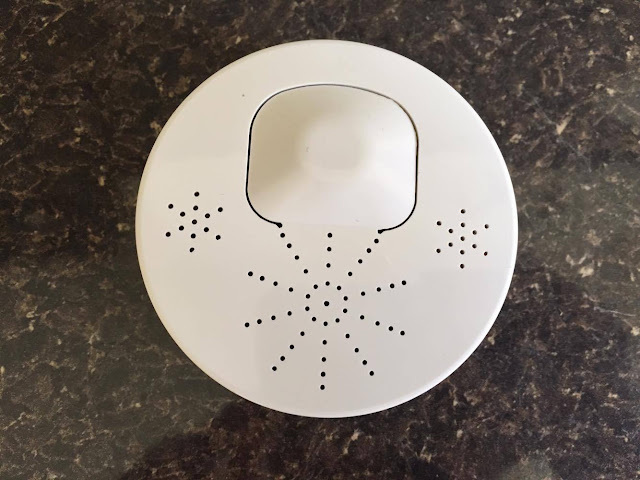 I think it is absolutely amazing how it can determine when your baby will wake up, or pick up on an increased background noise how clever. Freddie loves it! 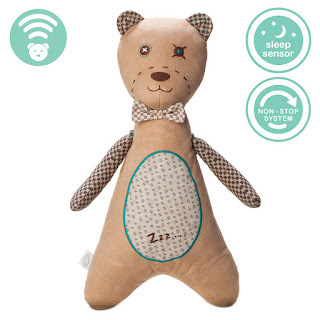 He is a really fussy sleeper and often wakes up lots throughout the night which can be a pain. He settles a lot quicker with the myhummy next to him and the noise switched on. We usually just leave the 60 minute function on as he is always asleep by then. 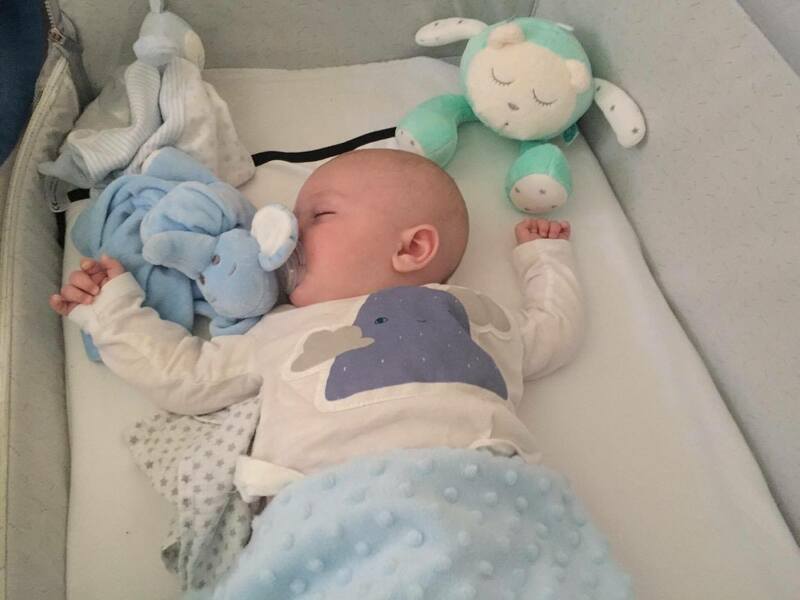 Every time he goes for a nap he will not settle until he has his comforter next to him and the myhummy switched on. 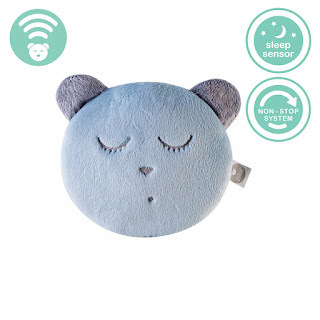 It has become a staple part of our sleep routine and we are very grateful we were given this to try as is Freddie. 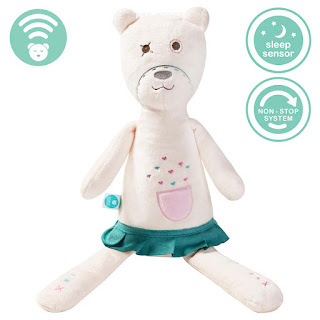 MyHummy teddy bears are truly unique creatures. 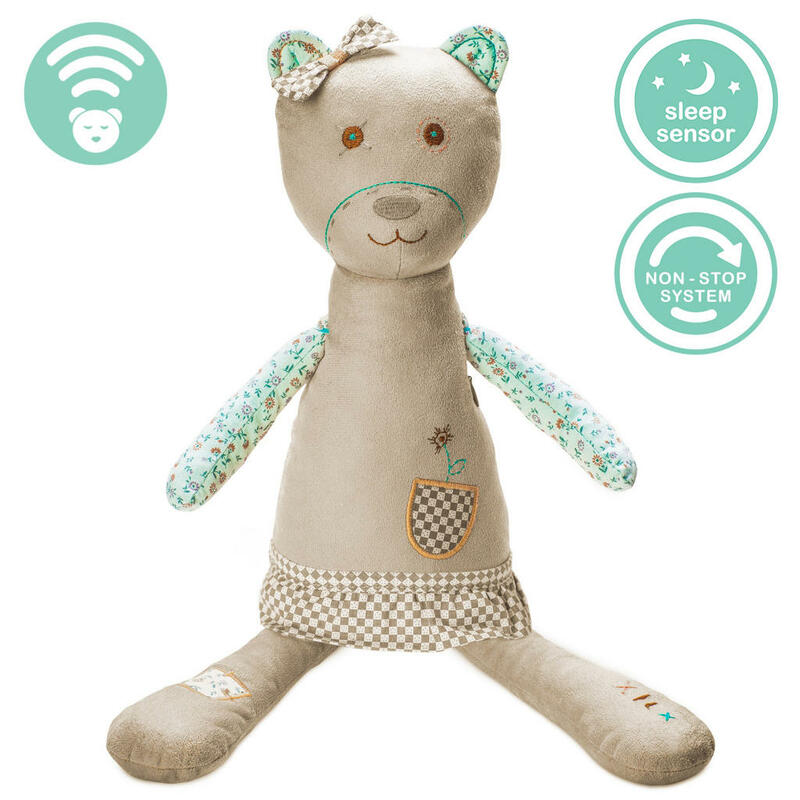 Whatever your style, vintage or modern, you’ll find your baby’s first teddy here. 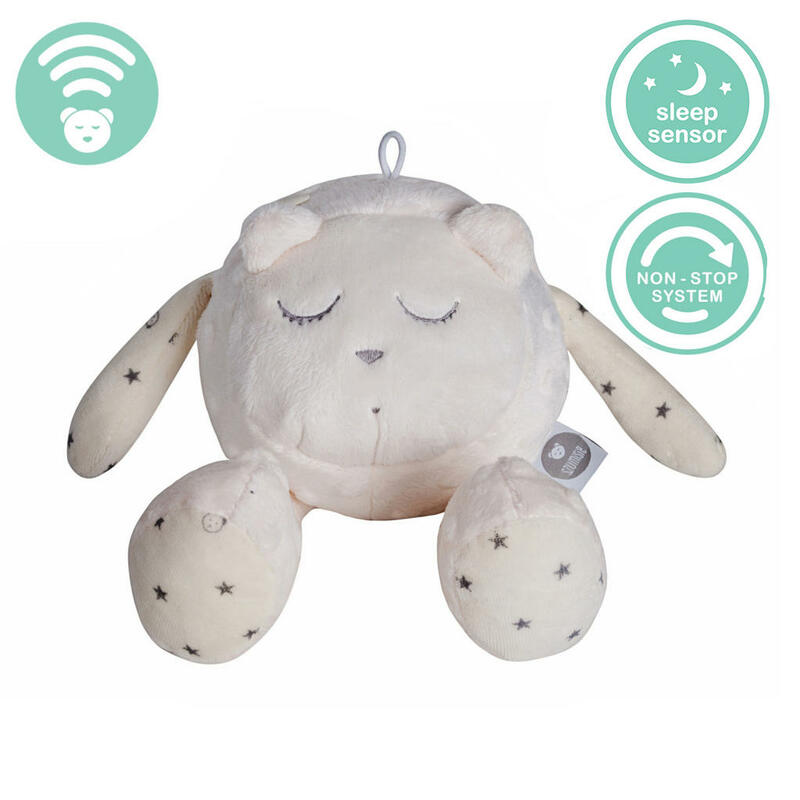 MyHummy Snoozy white noise toys are cute and practical. You can attach them to a cot, car seat or a buggy . 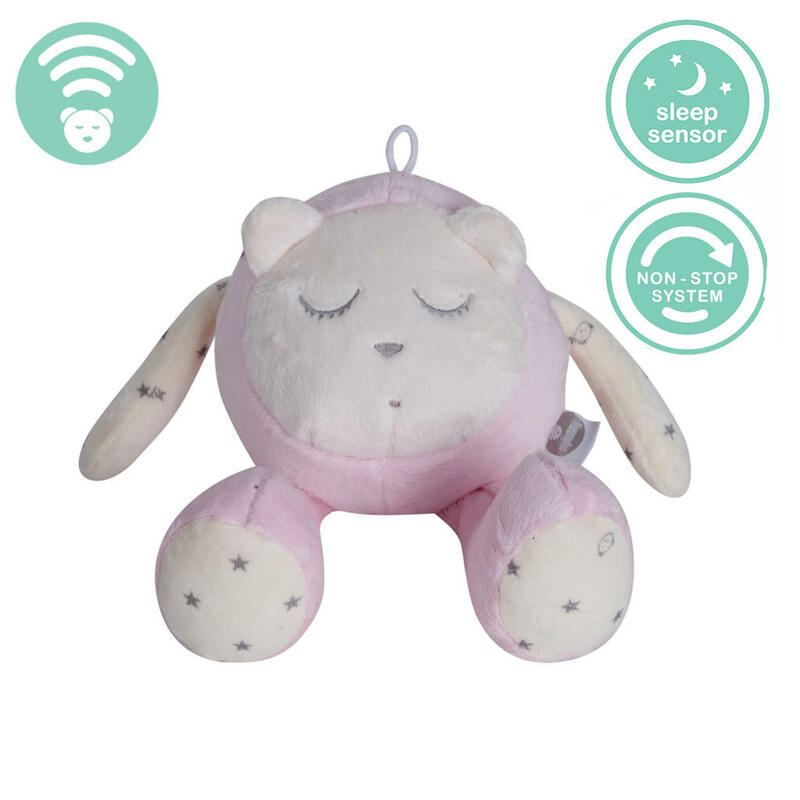 Babies love playing with ball-shaped objects and especially enjoy chomping on Snoozy’s paws! 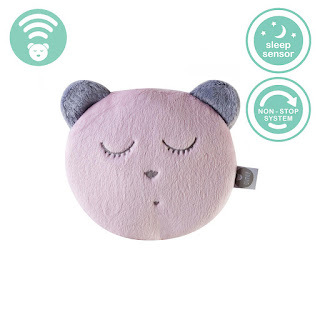 Snoozy comes in five lovely colours: pink, blue, green, grey and ecru. 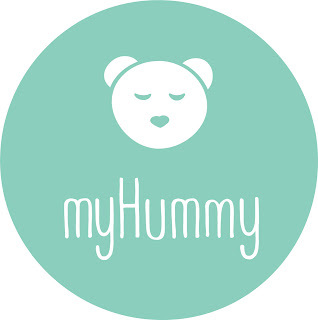 MyHummy Sleepy Head is much more than a white noise sleep aid. It’s not only cute but it’s also smart and portable. 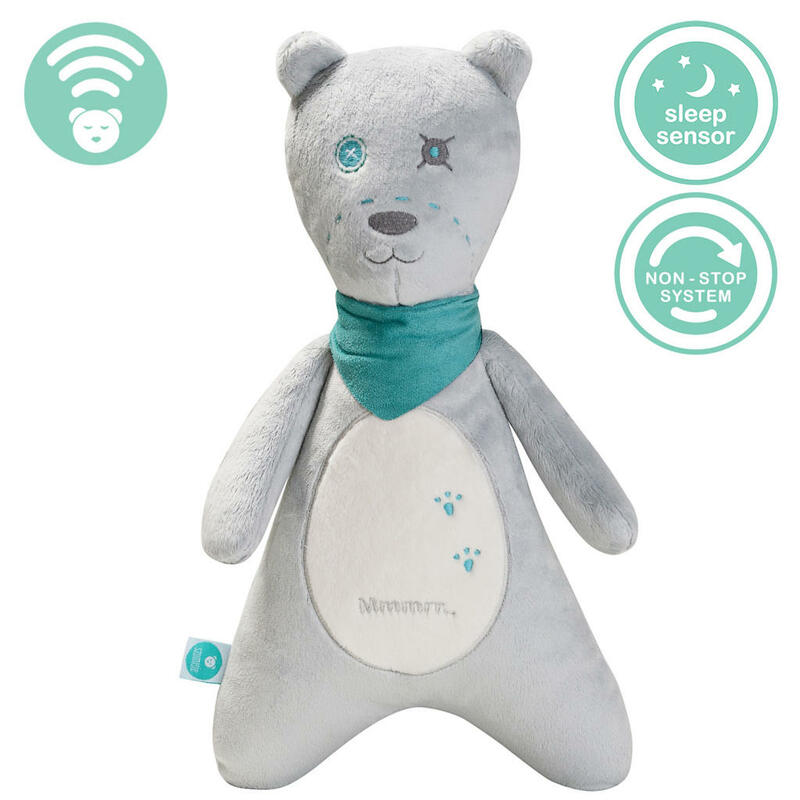 Sleepy Head can be attached to a cot, pram, car seat or even a baby carrier, making it the ultimate white noise sleep aid at home or on the go. 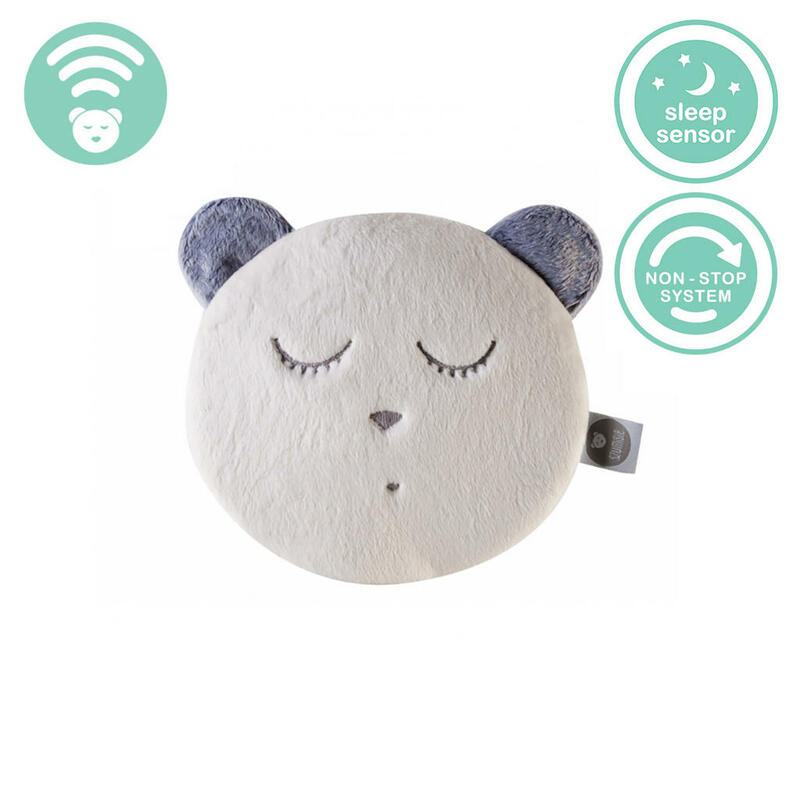 MyHummy Sleepy Heads come in three delightful colours: ecru white, baby blue and pastel pink. Check our their website here shop their range here and go and give them a like over on their facebook page.